I think I am going to try and make this a somewhat regular feature. I really like highlighting those ladies that are doing some amazing work! Today I have some ladies that I have been following since I started blogging. I like to think that I have made a connection with each one, be it small hellos over time to sharing the same sense of humor. I don't always comment but I do try to read their posts everyday. This is a great group of ladies and I am so glad that I have had the chance to get to know them! 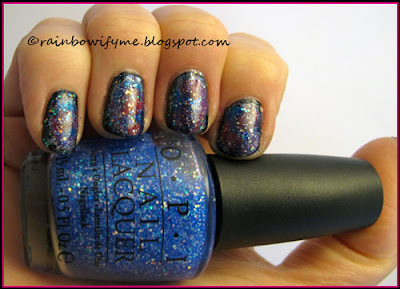 When I first started following this lady, she was only doing swatches, and she always showed the most amazing polishes. 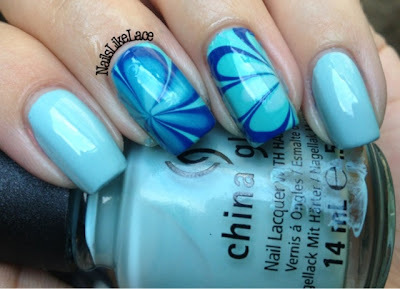 Now she is producing some amazing nail art! I always love seeing what she will come up with next! She will always hold a special place in my heart because of the 2 swaps we did. She sent me some of the most stunning polishes that I have ever seen! 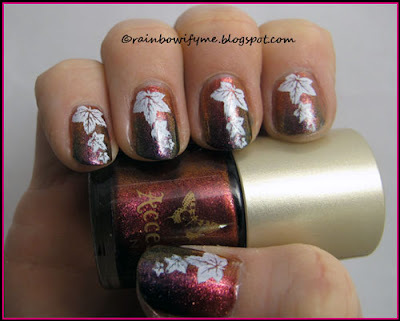 I think Ashesela has become sort of a nail celebrity since we first met! If you haven't seen her free hand art you really need to check it out! She has the most amazing free hand skills that I have ever seen! Ashesela was actually the first person that I ever swapped with. She introduced me to Joe Fresh polish! Oh, Miss Frosso...what can I say about you??? I think I get along so well with Frosso because we have the same sense of humor. I love that we can pick on each other, yet do it with so much love! 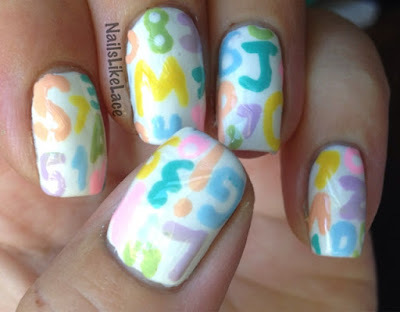 :) She is another one of my swatch girls that has added nail art to her blog. The real reason that I love her so much is because she is the Indie Queen! I want to visit her just so I can steal her Indie polishes, but shhhh don't tell her that! Abbie is another amazing free hand artist! Her designs blow my mind! She is also the one that supplied me with my first Barry Ms, that alone makes her awesome! This is such a great feature! Couldn't agree more about the blogs I already know, and I'm looking forward to checking out some new ones too! And seriously, Ash's art? Amazeballs. Wow, I just added so many blogs to my list!! This is a fantastic feature, I was so honored when my blog showed up here not too long ago!! Keep it up! Did you hear that? It was the sound of my locking up all my indies...I think I would rather give up an organ than some of my indies..especially the Nerd Lacquers. 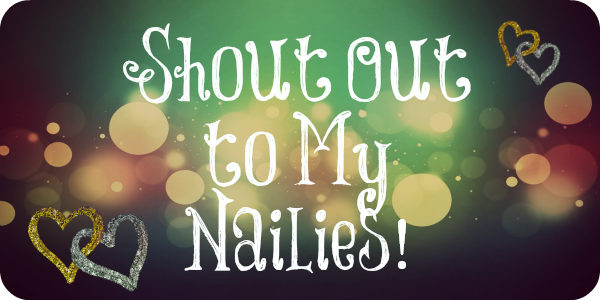 I can't love anyone enough to give those up ;) Thank you for featuring me in your shout out! You know I'm always a big fan of your blog, but I don't want it to get to your head too much. 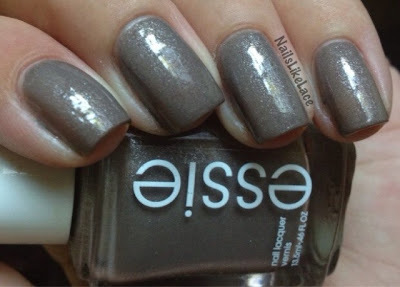 Btw, I'm in complete awe of Art Evolve's snowflake mani! This is a great idea for newbie bloggers like myself, it's so hard getting started and people like you make the world of difference. I am going to check out these lovely ladies blogs now!!! This is such a wonderful feature! I enjoy it every time!